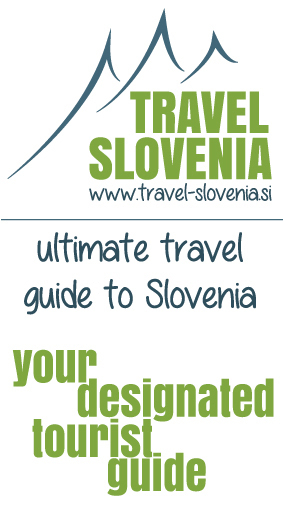 TRAVEL-SLOVENIA TRAIL BLOG | In search of new trails. This time we took a little family trip to an 887 meters high hill Grmada in Lower Carniola. Grmada is a viewpoint on the western side of Ribnica’s Mala gora with a nice view from the top. At first, we did not know if the trip will be possible, as it was raining all day on Saturday. But Sunday morning was fresh, little cloudy, but still, it was promising a nice day to take a trip. Road took us towards small settlement Velike Lašče and after it to a village named Gornje Retje. As a quick fact, the village on the other side of the road is Dolnje Retje, where Slovenian poet, writer, dramatist, critic, and linguist Fran Levstik was born. If you are interested in history, we also suggest visiting the village and see his birth house. On Sunday, 18. November 2018, the road took us to the famous Vipava valley, to the village Ustje. We joined an organized hike along Vertovec trails, organized by Society Matija Vertovec. We gathered under the mighty Oak in front of village Ustje, where the morning welcome followed with hot coffee and tea. The hike is admission free. It is a circular hike along village paths that lead us through the villages Ustje – Dolenje – Sveta Marjeta – Planina – Ostri vrh (additional option) – Potok – Jakulini – Šmarje – Vrtovče – Tevče – Uhanje – Ustje. The hike took us 5 hours to complete and in that time we walked almost 19 kilometers. This time our journey took us to Karst, to a small Karstic village near the Italian border, named Vojščica. We joined an organized Autumn hike on Trstelj, the biggest peak of Slovenian Karst. It happened on Sunday, 4. November 2018, with a start next to an Old school and church St. Vid. 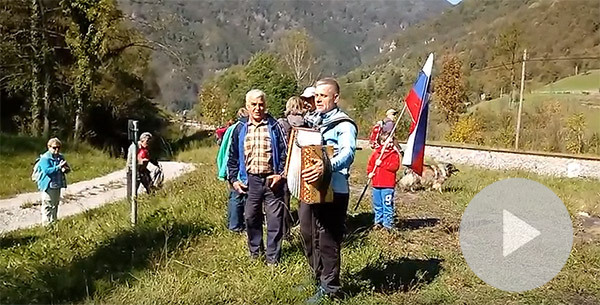 The hike was organized by the Sports cultural touristic society Farjovca and it was almost 15 kilometers long, which took us around 5 hours to complete. The hike was guided by a personal guide, with some stops along the way. Our visit to Kranjska gora, beside all the beautiful things around, also took us on Triple border or mountain Peč. It is 1510 meters high elevation above Rateče and is a juncture of three countries and culture: Slovenia, Italy and Austria. This is one of the must see points while visiting Kranjska gora and nearby places. And you can take is as a day trip, with a little walk in the nature and with final beautiful views on three countries mountain landscape. This time we decided to visit the most visited mountain pasture called Velika planina. With many things to see it is nice day trip, where you can relax and enjoy the nature and home made cheese or sour milk. We started our ascent in Kranjski rak, where you can also find a parking spot and signs for Velika planina and other locations. At this point, we decided to take the road to the righ and came down on the left one, so it was a nice circular walk to and from Velika planina. On Saturday, May 19th 2018, we went on an organized hike on Ljubljana marshes. That was already the 13th hike in a row, and this time Travel-Slovenia decided to go along. Hike was organized by Tourist society Barje in cooperation with Landscape park Ljubljana marshes and Tourism Ljubljana. The path is 13 kilometers long and it takes around 4 hours to come from start to the end. This hike was guided and the guide provided informations along the path about the sights of Marshes.